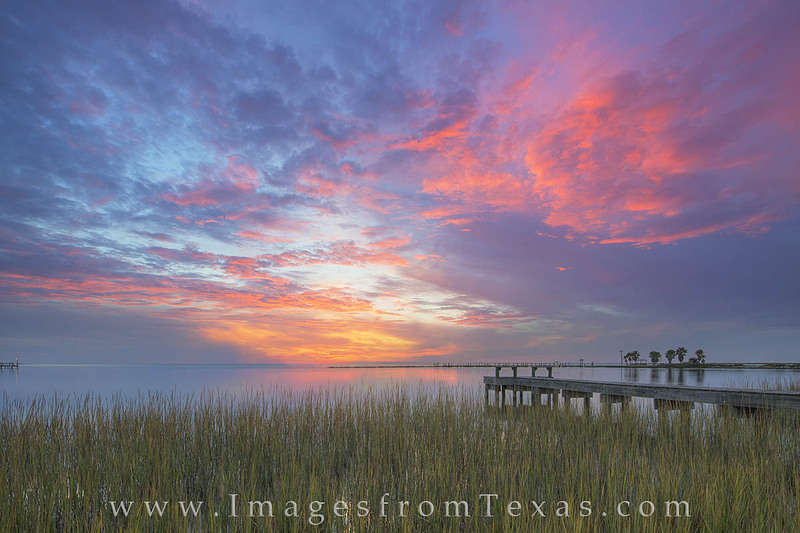 Red skies at night are a sailor’s delight, and on this evening along the Texas coast the waters near Rockport were calm and tranquil. Several nights in a row I enjoyed this view, and after the light show each evening, dolphins entertained me as the glided through this little cove. Photo © copyright by Rob Greebon.